Just can't put down the phones? Flora is here to help. Whenever you and friends want to stay away from the distraction on smartphones, plant a seed together (or alone) using Flora. As you focus on what's more important in the real life, the seed will gradually grow into a healthy tree. But if anyone cannot resist using the phone, the tree will be killed. 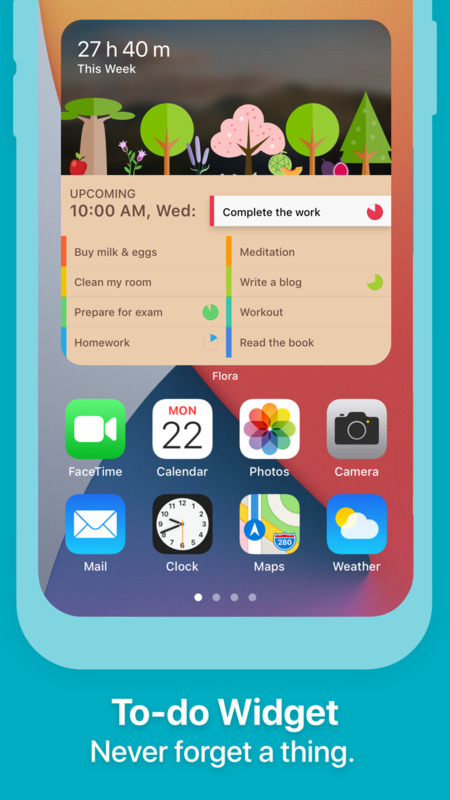 This way, Flora creates a shared goal that helps you and friends put down the phones and be productive in an effective and pleasant way. * See your friends' accomplishments and cheer with them. * Need STRONG incentive to concentrate? Challenge yourself by setting a Price before planting a tree. So, if you kill the tree you pay the price to plant a REAL tree on Earth. Go off your phone or go helpful. Sounds cool! * Active your Flora Care service to plant a REAL tree every time when your total focused hours reach your goal. So, you turn your mental power into long-term financial aid to families in our rural communities. That's even cooler! * Flora supports OFFLINE planting so you can stay focused at anywhere you want. To use it, please go offline BEFORE pressing the Start button in the main screen. * For those who are curious about the relationship between the Flora and Forest apps: Flora and Forest developers were coming from the same lab in a university. 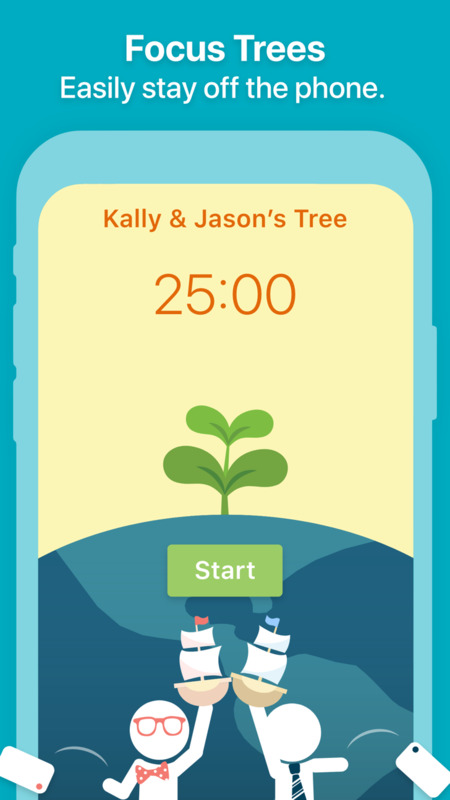 The two apps were initially designed to complement each other—Forest on single-user scenarios and Flora on multi-user tree planting. However, after Flora launched on the US market in Aug 2017 and gained some popularity, the Forest developers cloned the multi-user planting function in Feb 2018 and started charging this feature for money. Since then, the partnership between the two apps terminates. Flora is the original app that helps you enjoy moments with your friends and family, and it's FREE! Download Flora and join our 1,000,000+ happy users now! Garden snapshots: now Flora will take a snapshot of your beautiful garden at the end of every week. Scroll down the My Stories list to see all past snapshots and get motivated today!